On January 17, 2019, Merrilee Fullerton, Ontario Minister of Training, Colleges, and Universities, announced a series of proposed changes to OSAP funding, university tuition fees, and student ancillary fees. The elimination of the 6-month grace period for loan repayment. What does this mean for SOGS? : Graduate students will be able to opt out of any non-essential ancillary fee, which includes SOGS membership dues. Support for at-risk graduate students. 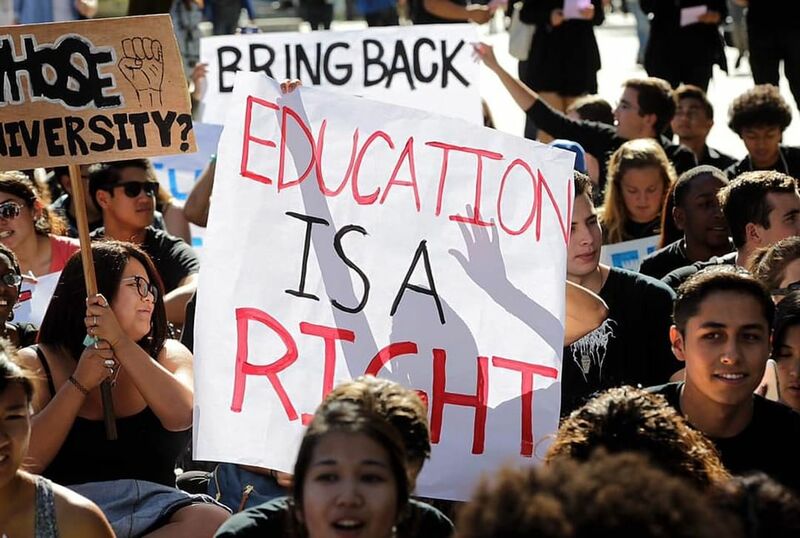 If you DO NOT agree with the recent changes to Ontario university education funding, join the cause and sign the CFS-ON letter being sent to Premier Doug Ford, MPP Dr. Merrilee Fullerton (Minister of Training, Colleges, and Universities), and your local MPP. 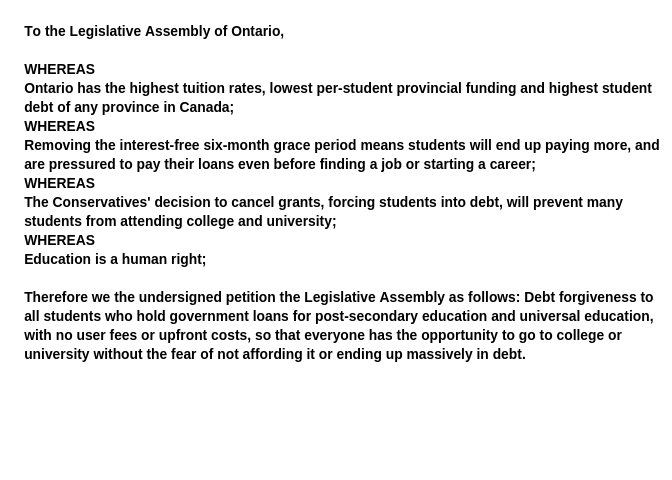 In addition, consider signing the March For Students Rights postcards and letter to the Legislative Assembly of Ontario available in the SOGS office (MC room 8).